Vintage illustration courtesy of Grain Edit. 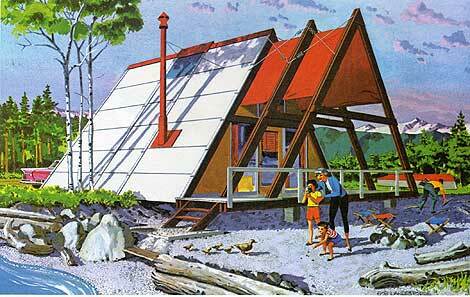 This is a site for anyone who has ever dreamed of finding an A-frame home, despite all the quirks and limitations they present. 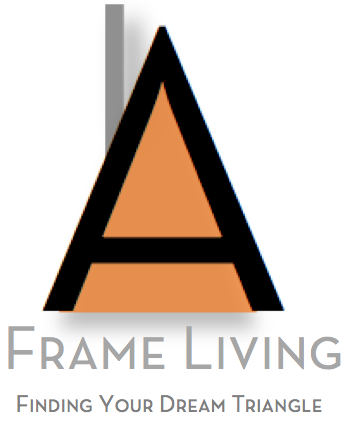 While searching for my own over the last few years, I kept wondering why there wasn’t a website dedicated to A-frames on the market throughout the country and beyond, so I decided to do it myself. If you know of an A-frame for sale, or are an agent looking to sell one, submit it (under the SUBMIT tab at the top of the home page) with the MLS# and/or contact information and I’m happy to share it here. Highlighting these unique structures will hopefully allow more dilapidated A-frames to be saved from the bulldozer by those who truly appreciate them. I am a renovation junkie, and have chronicled my own vintage modern rehab at modfrugal.com. A-Frame Living can also be found on Instagram HERE, and on Twitter HERE. ** Readers, please note, I am not the listing agent for these properties. Please follow the links for more information.